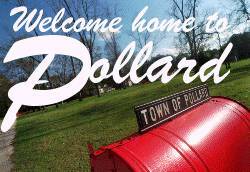 Welcome home to Pollard, Alabama. Population 100.
you home to Pollard, Alabama! A quick look at today's Pollard Alabama, a great place to come home to. 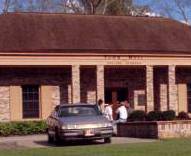 Read about the rich history of Pollard, including Civil War Battles, riverboats and a stolen courthouse. Population 100 (1990 census)...one of the reasons why Pollard is such a great place to live. Our warm southern climate is another Pollard plus. Visit some of our neighbors on the Internet. Let us know what you think of our site and request more information.